If you would like to purchase a CD, please click on the appropriate button. There is a secure way to pay by credit card without having to be a Pay Pal member. If you are worried about credit cards over the net, you can also print the order form and send with check payable to Tassilo music to our mailing address. That still seems to be the most secure way. If you cannot print just take a piece of paper and put the necessary information on instead. You can now also download this CD at itunes. Here is the link. 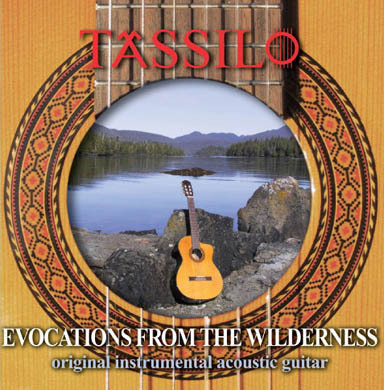 Tassilo is working on a book with the music notation and tablature for all the music on the CD. If you are interested for yourself, or as a gift for someone that plays guitar, please indicate on the order form or send a request by e-mail. House concerts are becoming increasingly popular; you could arrange for Tassilo to perform right in your home. You can charge a fee at the door; everybody could bring their own drinks, or you can just invite friends. Hear the artist in an intimate setting without amplification. You will have an opportunity to get to know Tassilo personally and have conversations with him. If you are interested in a house concert pleas indicate on the order form or send a request by e-mail. If you are interested in future releases or upcoming performances, please supply your email address on the order form or send a request by e-mail.